Collective Actions, The Pictures, 1979. 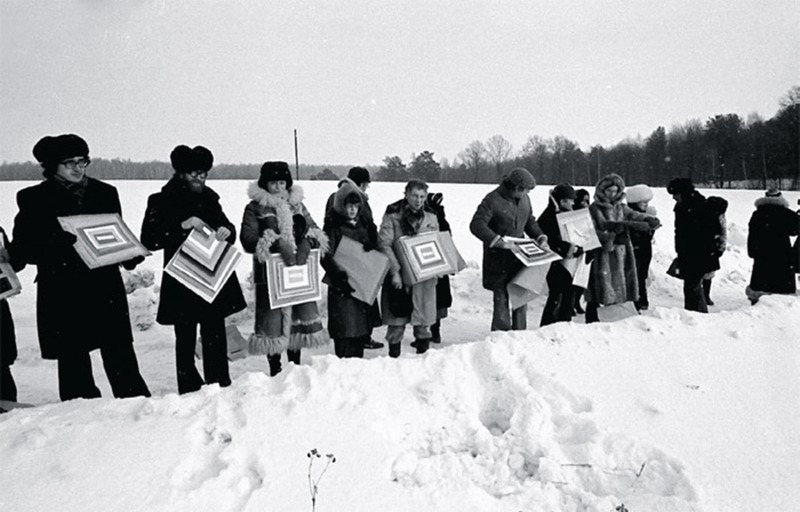 Performance view, Kievogorsky Field, outside Moscow, 1979. Photo: Andrei Monastyrsky. History Becomes Form: Moscow Conceptualism, by Boris Groys. Cambridge, MA: MIT Press, 2010. 224 pages. $28. The Experimental Group: Ilya Kabakov, Moscow Conceptualism, Soviet Avant-Gardes, by Matthew Jesse Jackson. Chicago: University of Chicago Press, 2010. 336 pages. $55. THE MOSCOW CONCEPTUAL CIRCLE is legendary todaybut it could easily have been forgotten. Active in the Soviet Union in the 1970s and ’80s, this small community of artists, writers, and philosophers had no public to speak of, although it has retrospectively given contemporary Russia its most important, influential, and identifiable artistic tradition. Some former members have become very well known internationally, even if political junctures and geographic relocations over the past two decades have divided the group into separate positions, orbits, and, in some cases, careers. Two recent publications take up the task of returning to the early years in order to find a common denominator. One is by Boris Groys, a former member of this circle and its most important ideologist, and the other is by Matthew Jesse Jackson, an American art historian who speaks perfect Russian and knows the cultural context, and Ilya Kabakov, personally. While Jackson claims, modestly, that his task is to save the memory of the Soviet Union from oblivion, Groys goes further, claiming that the Moscow Conceptualists knew something intrinsic to our contemporary condition, something we still need to understand. To get the most out of these books, it is worth reading them at the same time. With Jackson’s The Experimental Group, it is best to leave the rather unfocused theoretical introduction for later and to plunge immediately into the rich narrative, which reads almost like a novel. Several chapters start with a date or a description of an event that turns out to have tremendous historical importance. Private assemblies and clandestine performances, the artists’ moral dilemmas and the state’s ideological nonsense, are described in detail, sometimes pleasantly quirkily, until we reach the finaland poignantchapter of the story, which is set in the early 2000s. The characters include not only such familiar figures as Kabakov, Erik Bulatov, and the Collective Actions group but also their lesser-known senior colleagues, Yuri Sobolev and Ülo Sooster among them. Jackson additionally brings in unexpected but crucial sources of inspiration for the artists: Hermann Hesse’s Glass Bead Game, Caspar David Friedrich, Carlos Castaneda. And he even does justice to an older generation of important Soviet art historians who are unknown in the West, by citing their research. If we begin to feel lost among these numerous characters and their aesthetic whims, we can get an idea of the bigger picture, an energy boost, and a sense of what’s at stake in Groys’s compact and authoritative History Becomes Form, a compendium of his most relevant texts on Moscow Conceptualism, written between 1979 and 2008. 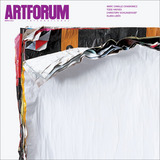 Some of these articles dwell on the general strategy of the group (for example, a piece written for Groys’s 2008 curatorial project “Total Enlightenment” at the Schirn Kunsthalle Frankfurt); some refer to specific figures (Kabakov, Andrei Monastyrsky, Boris Mikhailov, Alexander Kosolapov, Grisha Bruskin, the Medical Hermeneutics group). Human history, clumsy and inarticulate, is crystallized here into clear concepts, brilliant statements, and razor-sharp intellectual paradoxes. In his Soviet years, Groys learned how to take advantage of dialectical materialism and marshal it into flamboyant polemical tours de force. His more and more openly Marxist writing is built on productive contradictions, and he knows how to recognize the core of a phenomenon in diametrically opposed appearances. He is not afraid to assert (and offer proof) that in certain ways the Soviet and anti-Soviet worlds are identical, that our status quo is change, and that the society of the spectacle actually lacks spectators. Here, in contrast to Jackson’s book, the newly written introduction is the most relevant part. It shows the direction in which Groys’s eternal crusade of reinterpreting (one could even say rebranding) Communist experiencewhich he sees as both unique and universalhas recently taken him. If we miss the careful analysis of specific artworks or need further examples, we can go back to Jackson’s more detailed and less subjective narrative. But the questions Groys raises will still be haunting us. Principal among them is not How did artists work? or What did they want to say? but Why did they work in the first place? It is a philosophical rather than an art-historical question. Why is there something rather than nothing? Why is there a work, rather than merely creative potential? Why is there art, just art, rather than lifewhen, as we know, art and life irreversibly merged in Communist society? In the Soviet Union of the 1970s, however, this was also a manifestly practical question: There was no real need to tear oneself away from the pleasant passivity of noncompetitive, noncareerist, nonconsumerist existence. Nothing compelled young intellectuals, be they book illustrators, musicians, orlike Groysmathematicians, to break with the vita contemplativa and to use their (virtually endless) free time to produce any finished product in the form of a text, an object, or a performance that would be realized. Why did they do it? Jackson and Groys both agree on the fact that Moscow Conceptualism is more about the figure of the artist than about the work itself. The entire system of Communist art institutions was built not around the material object and the paths to its consumption by museums or market, but around artists’ communities and groups. Jackson discusses microcommunities and self-education at length: In Moscow Conceptualism, he says, conversations, not art objects, were the key products, and the institution that mattered was a circle of friends with a common discourse, a “self-problematizing interpretative community.” Groys, more radically, claims that the Moscow Conceptualists were by no means professional artists in the conventional sense, but were rather amateurs pursuing their strange and asocial pastimes, often without leaving any material trace. When they did produce objects, these served only as pretexts for a social gathering, for the production of an audience that was itself also a work. 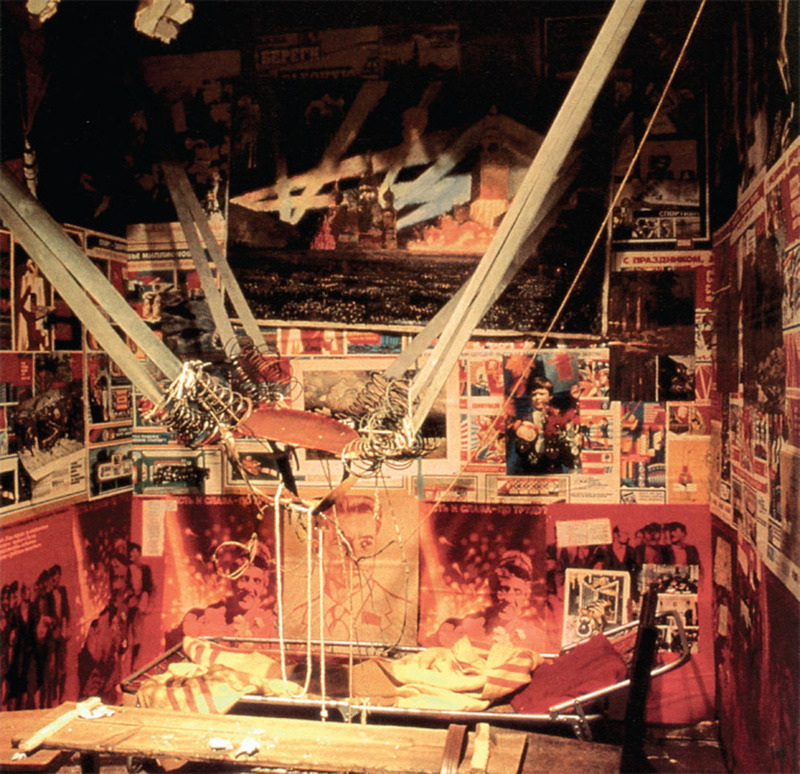 Ilya Kabakov, The Man Who Flew into Space from His Apartment, 1981–88. Installation view, Ronald Feldman Fine Arts, New York, 1988. One could argue hereand this seems to be an underlying premise of both booksthat the historical legacy of Moscow Conceptualism was to reveal the extent to which international contemporary art is geared toward the production of marketable objects. Professional, institutionalized art, including critical art and even dematerialized art, is still predominantly art-making rather that art-thinking: producing rather than philosophizing in the Socratic sense. The Moscow Conceptualists would have agreed with Alexander Vvedensky, an important Soviet avant-garde poet whose few surviving works were published only long after his death, who once said that no one should write a new poem when the previous one is still capable of bringing mental profit to its author. They produced very littleto the great displeasure of today’s art market. For the Moscow Conceptualists, the objects they made were important only insofar as they successfully produced human subjectivity, visual bonds, and communication. The group operated inand searched for ways to go beyonda context permeated by Communism’s radically egalitarian approach to objects, in which to speak about better or worse Suprematist paintings, Conceptual readymades, or realist statues of Lenin would be heresy: a return to the bourgeois notion of art, to reification. Artworks were objects among others, and all objects as such were, in turn, reconsidered as subjects, free “citizens” with equal rights. In the words of “The Internationale,” those that had been naught became all. A similar attitude to the object existed in Fluxus, if on a smaller scale. But when everybody learns how to “go Fluxus,” things change; what we’ve ended up with is “creative capitalism,” a concept that may, in fact, bring us closer to the heart of Moscow Conceptualism. Groys argues that under our current YouTube democracy, everyone is a potential artist engaged in post-Conceptual, dematerialized practices. Professional or criticalor professionally criticalart still does not really know how to address this new condition and merely hopes that institutions (especially nonprofit ones) will, by continuing to function as gatekeepers, manage to prevent art from finally collapsing into everybody’s immaterial hobby. Consequently, it is tempting to see Moscow Conceptualism, this debris of Communist society, as a means of envisioning the horizon of possible shifts. The Soviet underground artists may ultimately prove less important for their championing of anti-art than for their (critical) rediscovery of art after it was radically abolished. The whole of Moscow Conceptualism can in fact be understood as a gesture of tearing apart subject and object, which had been fused since the October Revolution. Monastyrsky’s Finger, 1978, a simple box with a hole, into which one can insert a finger to point at oneself, is a surrealistic device that enacts, on a very physical level, their painful separation. By allowing its user to experience alienation, however, the work allows for reflexivity, the necessary starting point for independent thought and critique. Without this device, there is just life, and no art. Finger proposes that, under Communism, the autonomous artwork can exist, but only if it is fundamentally reconceived. This difference in context is crucial, since in many ways the international critical art scene already functions like that of the Moscow underground artists, although with more money, more people, and more hypocrisy. Many of Collective Actions’ performance objects, created for the group’s enigmatic, ritual-like actions, had no function other than to be talked about, to produce a milieu of the initiated few; the circle of initiates has now expanded, both quantitatively and geographically. Groys observes that the strategies of today’s antimarket, critical wing of contemporary art are very similar to those of the Moscow artists: The current popularity of collaborative and participatory projects means that artists, like their Soviet predecessors, are bound to produce their own alternative audience before, or actually instead of, producing anything else. But to admit honestly that the main (and maybe the only realistic) goal of art today is to produce an alternative elite would be to pit art against the sacred ideals of democratic society. Only Soviet unofficial artists, who did not live under bourgeois democracy, could openly take no interest in the broader public. Is it possible that they managed to preserve an earlier avant-garde attitude, while contemporary international artists are condemned to a mere “aesthetics of resistance”? Indeed, the latter would seem to obviate the very notion of a military-style avant-garde, since the occupation has long since taken place, and everybody turns out to have already collaborated with the occupiers. Ekaterina Degot is an art historian based in Moscow.